Maura – Special Edition Bear. Or as we like to call her: “the mirror loving one”. 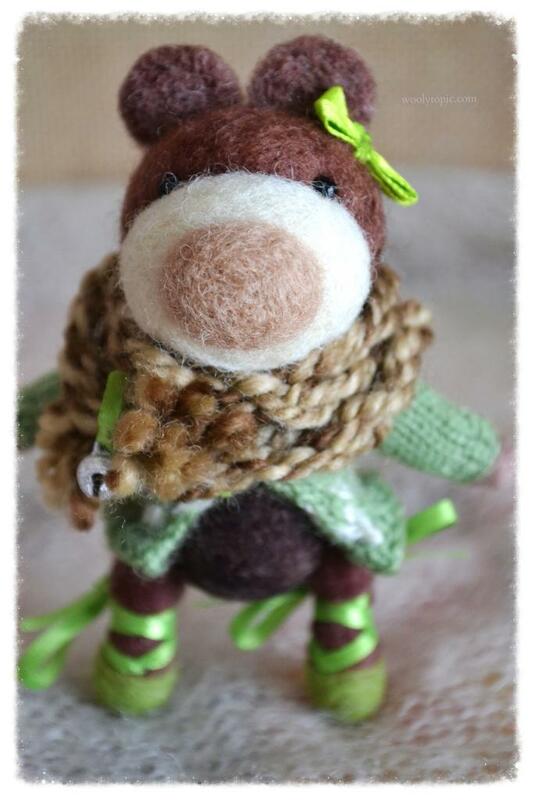 Maura is a Special Edition Bear for Wooly Topic. What does it mean to make it to a Special Edition list you ask?! Well first of all, the bear must be a bit of a Diva. That miss Maura is. 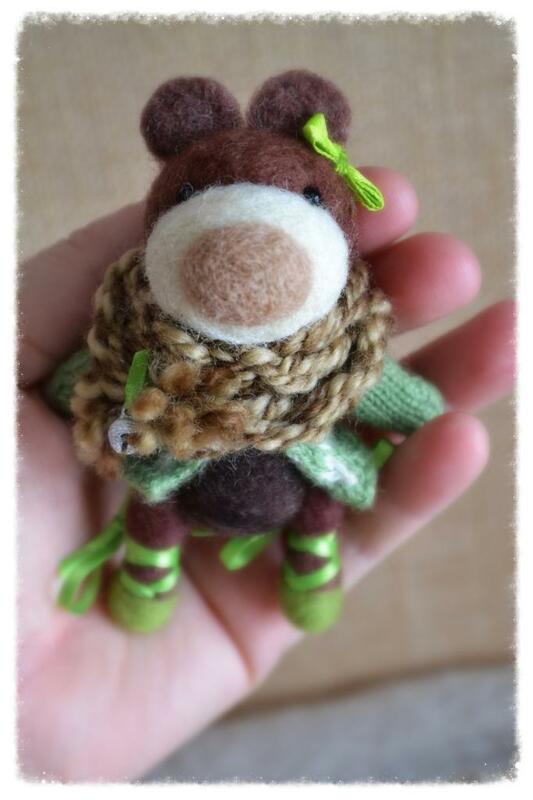 She is outfitted in a more detailed way than the Pocket Bears and she is a bit bigger. She took me way longer to create and frankly…she has parked herself in front of a mirror and won’t stop parading around! 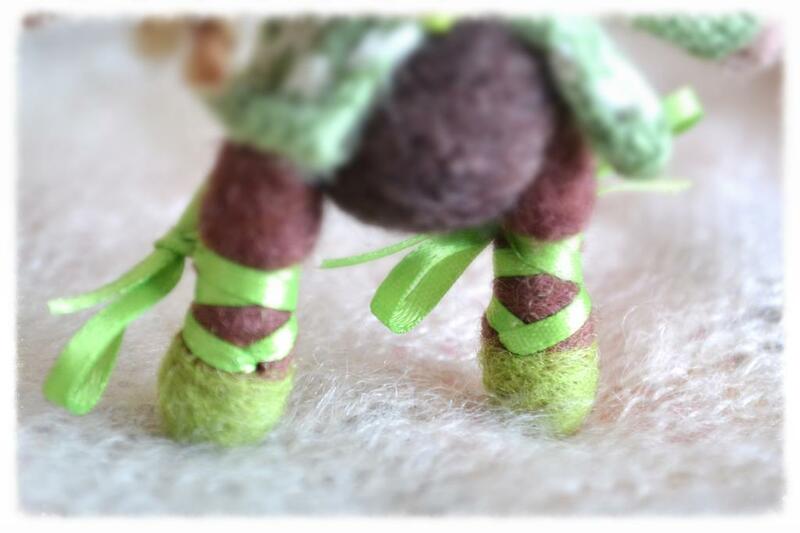 She wears ballet slippers, her favourite colour is green. 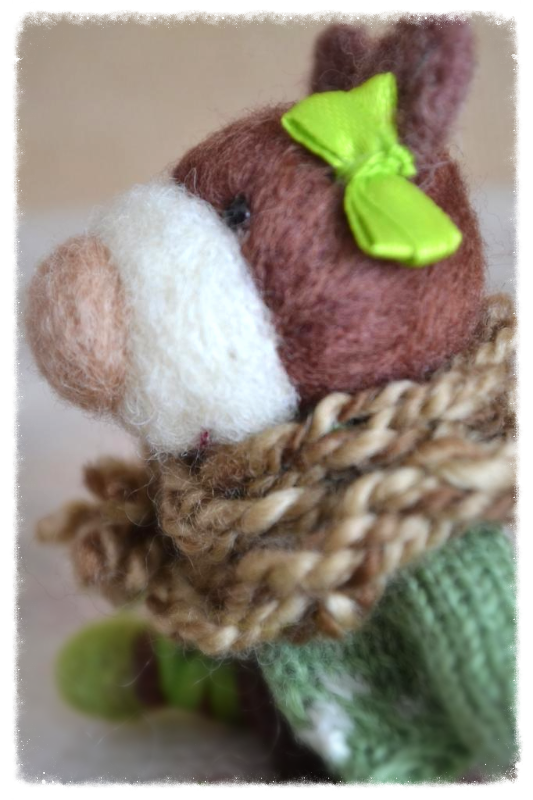 She wears a green bow on her ear and loves her wool cowl! 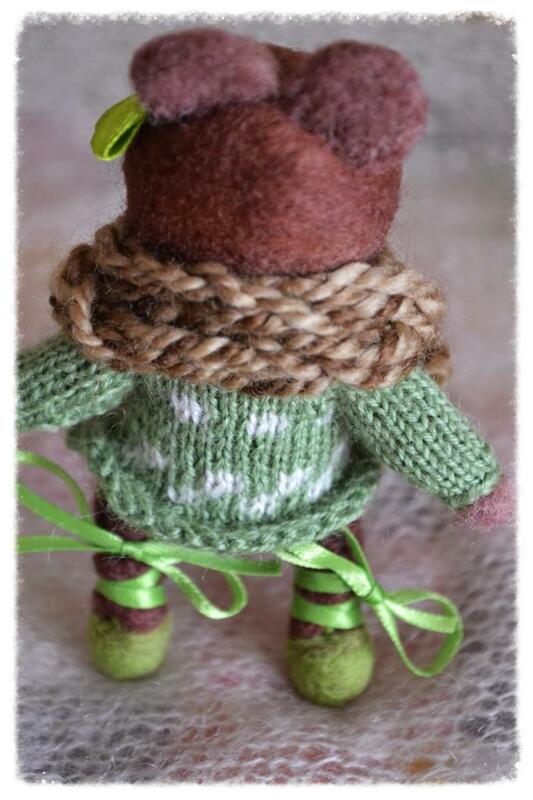 Her wee sweater is quite detailed, it was purchased at a Miniatures shop that I visit in Port Perry Ontario. A lovely handful she is!